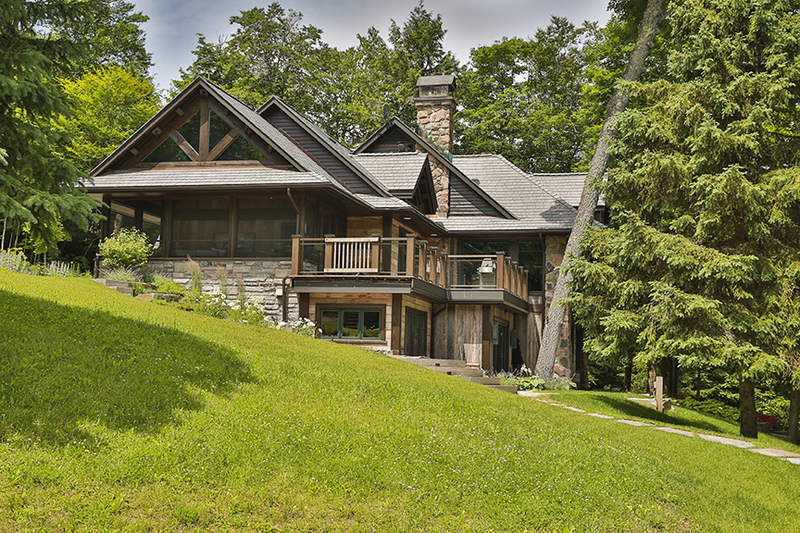 Les owned a custom designed cottage and beautiful property on Lake Rosseau in Muskoka. The cottage was originally designed by a highly successful Toronto architect, but after 15 years needed some updates, and Les wanted the space to better reflect his tastes. Les was concerned that the entrance interior was too small to accommodate the amount of traffic coming in and out of the house, and he wanted it too feel bigger and brighter for family and guests. The property behind the cottage was very steep, which did not accommodate easy parking. 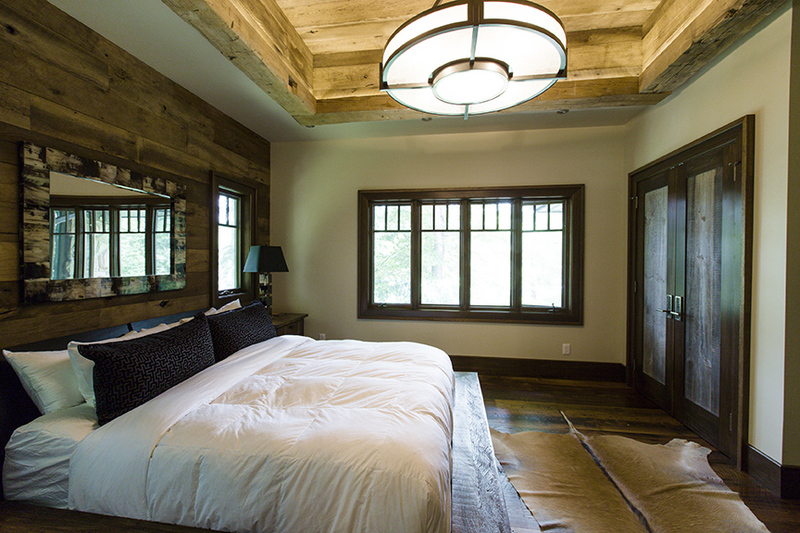 Inside the cottage, Les wanted a more open concept layout that brought in more light, a larger updated kitchen for entertaining guest, and upgraded finishings throughout the space that better suit his life and design style. 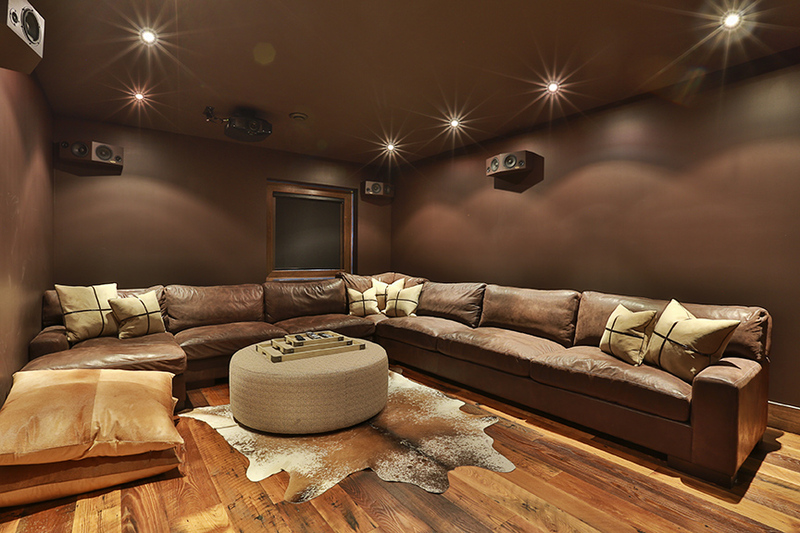 Peter Groza was chosen as the designer for Les’ redesign and remodelling overhaul. He reviewed the home’s structural plans and designed a roof system that would accommodate more gables and glass. 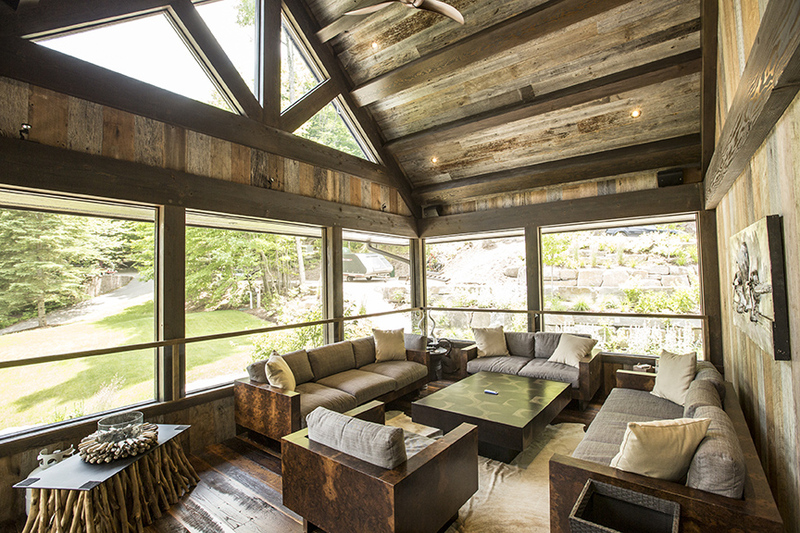 Portions of the roof system were crafted with timber frames with various finishes, including reclaimed materials that added a sense of texture and mass to the space. The timber frames were designed with a modern style so as not to take on the typical post and beam look. Since the owner was influenced by design styles from his home in Vail Colorado, he wanted that reflected in his cottage. Peter sourced materials, travelled to Colorado to help the client select finishes that weren’t available in Ontario. Peter also addressed the problems with parking at the property by redesigning the landscaping and site plans to accommodate more vehicles, at the same time adding a more appealing entrance with subtle rock scaping that was a departure from the typical grassy, suburban scaping. The client was looking for his dream escape from suburbia, and to reflect his modern, upscale tastes. 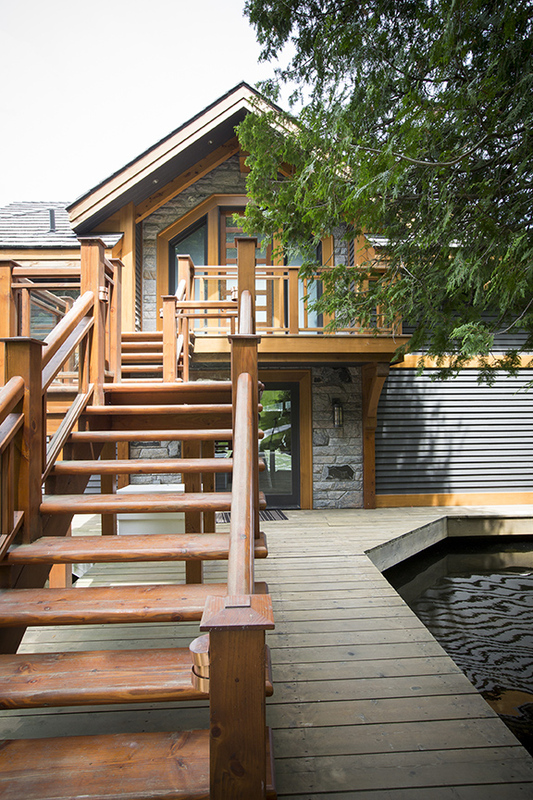 Peter successfully addressed the functional concerns of the space, while adding updated structural elements and high end finishings that made this cottage a beautiful northern destination.